Sony makes really, really good cameras. The company’s professional series cameras are currently coveted by even grumpy old pros reluctant to upgrade, and its camera sensors are found not just in Sony products, but in many competitors, too. So its no surprise that for years the company makes a big show of playing up the cameras in its smartphones. The Sony Xperia XZ Premium is no exception. The Xperia XZ Premium is the big brother upgrade to last year’s Sony Xperia XZ. Like that device, it’s a sharply rectangular phone with a much touted camera. Dubbing the technical system behind the camera “Motion Eye” Sony claims it can shoot photos faster than competitors and show slow-mo videos slower. Specifically Sony says the XZ Premium can shoot 960 frames per second at 720p. The average smartphone, for reference, can only do 240fps. This video below is a good example of just how different 240 and 960 are. But is it necessary on a smartphone? 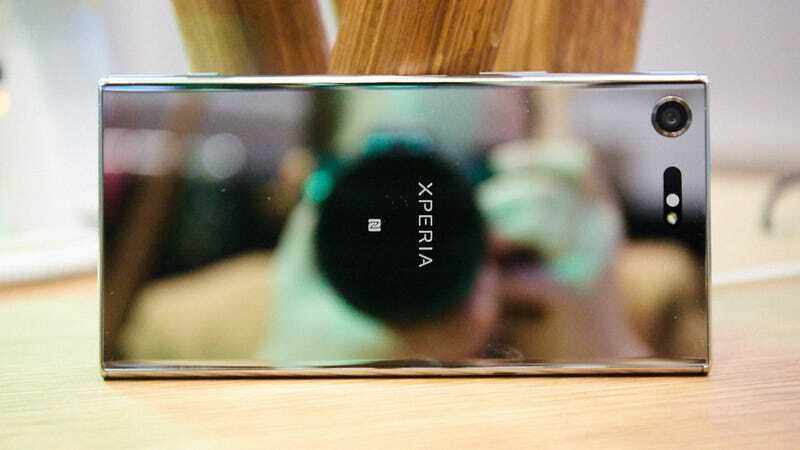 It’s not the only big photo feature Sony’s touting for this phone, which will also have a Qualcomm Snapdragon 835 processor and a 4K display Sony says will handle HDR (though Sony could not confirm to Gizmodo what kind of HDR content it will actually display). According to Sony, the Motion Eye system will have a predictive capture feature that starts photographing before you even press the button, and Sony also claims unparalleled low light capabilities. Besides the XZ Premium, which Sony hasn’t announced a price for, but has said is expected in the US in the Spring of 2017, Sony announced the smaller 5.2 inch Xperia XZs which will be available April 5 for $700 and include the Motion Eye system, but not the 4K HDR display. Sony’s also announced two cheaper phones, the Xperia XA1 and Xperia XA1 Ultra. Both will have 23MP rear sensors and 16MP front sensors. The 5.2 inch XA1 will go on sale May 1 for $300 and the 6-inch Xperia XA1 Ultra is promised later this year. But are people going to care as much about the cameras in these phones as much as Sony does? Shooting slow motion videos and shots of friends in crazy low light is awesome, but is it worth a move to Sony from Samsung or Apple or even LG. That’s a question Sony is going to have to answer when the whole slew of phones appear later this year.